Yes! Give Me These Lead Magnets! You will never have to pull your hair out again wondering "What the hell will I give away for free?" or whats more... "What on earth will I bribe them with to share my funnel?" we've made it faster, easier and with zero hassle! When you add this the lead magnet pack to your members area you'll be getting 20 original video products and transcripts that I personally created. These weren't outsourced, these are my own presentations in my own voice and you're getting full PLR rights! Don't suffer the fate of ZERO Optins Due To Crappy Old & Outdated Squeeze Page Offers. 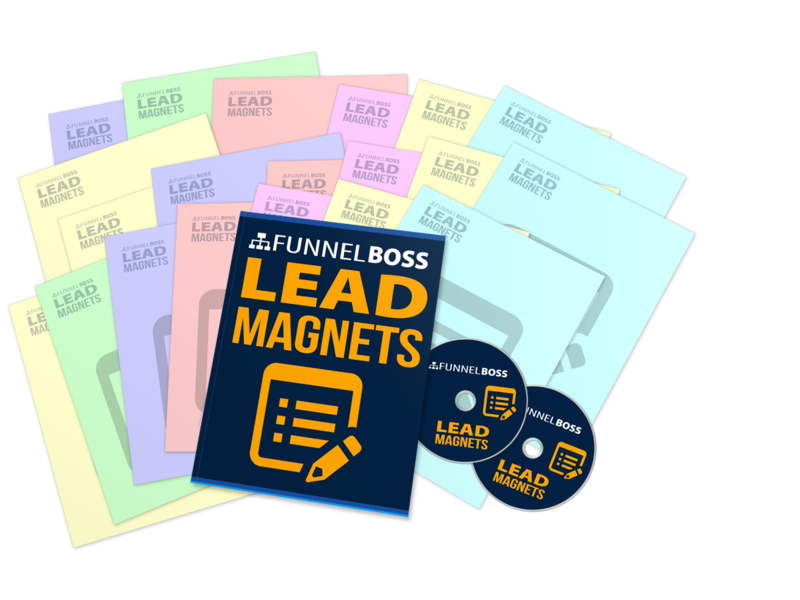 ATTRACT CONSTANT HOT NEW LEADS With These Fresh New Magnets! I have never sold PLR rights to my own material so you know for a fact that this is fresh content that will attract opt-ins and prospects in droves! You can create 20 squeeze funnels with these if you want! Use the transcript as the squeeze magnet and the video as the share magnets or vice versa. Better yet... combine the videos into packages and create irresistible offers that your prospects simply can't and won't refuse! You Get A Downloadable Mp4 Video For Every Lead Magnet. You Get A Plain Text Transcript For Every Lead Magnet Video That You can Modify And Turn Into eBooks Or Reports! Your Entire Lead Magnet Package Comes With PLR Rights So You Can Modify The Material AN Use It However You Want! You should jump on this right now. Take advantage of these tools right now and they will be in your members area right away. Creating this much content on your own is tedious and time consuming. Just add this to your order right now because it will save you time and shortcut you right to the money.